Khao Jie Pate (Lao Sandwich) for breakfast in Vientiane, Laos. 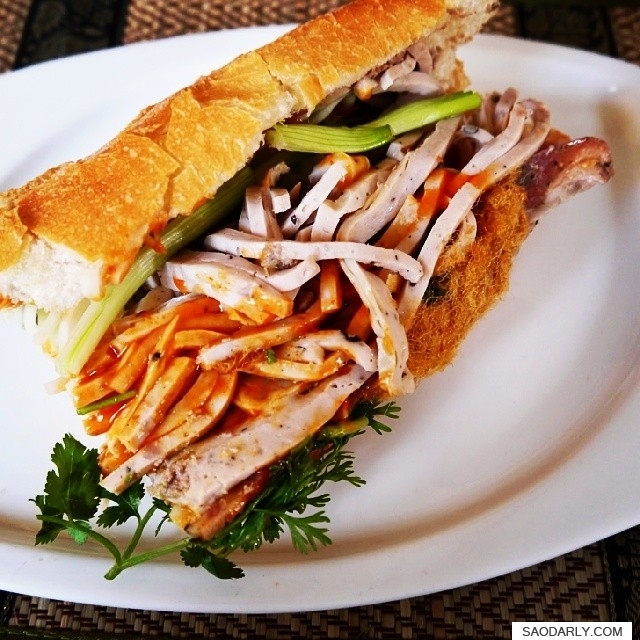 The sandwich was bought from a noodle and sandwich shop at Ban Wattay Noi in Vientiane, Laos. I don’t know the name of the restaurant but will definitely go check out the place the next time I am in Vientiane. I like the fact that they added a small spoon of fresh ground chili pepper in the sandwich. It adds and extra kick to each bite of the delicious Khao Jie Pate.